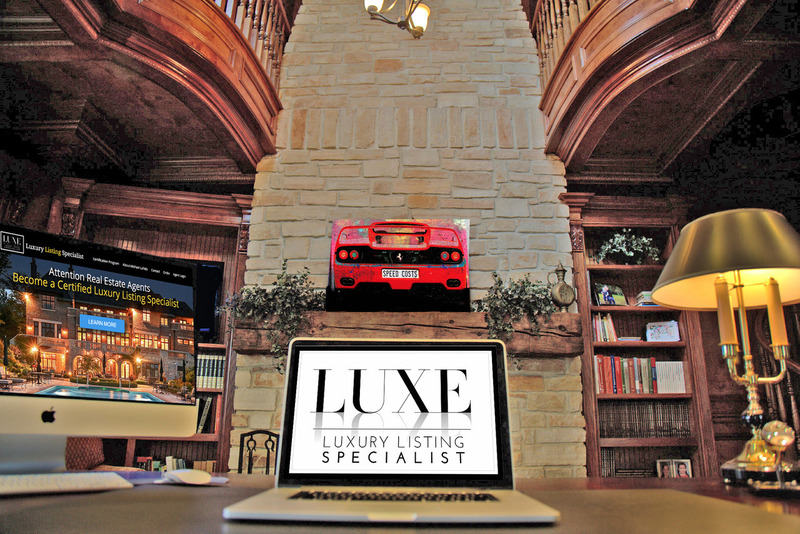 Marketing luxury homes is a different animal entirely. Here’s one of our newest techniques that has been seeing great results. In the video above which is geared more towards real estate agents, you will see an amazing property that we are marketing right now at just under $3 million. It has some amazing features such as an indoor saltwater pool, but we wanted to make these features pop on camera and video. To do that, we decided to showcase some amazing artwork from IKONICK, and these big canvas portraits are all over the property catching the eyes of buyers and their agents. This artwork company took several professional photo's and leveraged those photo's on social media which lead to an online spike in activity for this particular home. As you can see, the artwork is visually stunning. As you can see, the art is visually stunning. Time is money, and with marketing like this, we decrease the time a luxury home spends on the market before selling. Adding this beautiful art to an already beautiful home really brings it all together and shows prospective buyers the unique features of the home by tying in the artwork. As we’ve seen time and time again, marketing your luxury home properly will lead to more offers, higher offers, and a quicker sale. It might take a bit of an investment, but that investment will be worth it when the deal is closed and you no longer have to worry about selling or even maintaining the property. If you have any questions for me about how to successfully market your home for sale, don’t hesitate to give me a call or sending me an email. I would love to hear from you soon. SpainForSale.Properties is an Exclusive Real Estate Agency offering Luxurious Properties For Sale and Rent on the Costa del Sol, such as: Luxury VILLAS FOR SALE IN MARBELLA SpainForSale.Properties is considered one of the most trusted Exclusive Real Estate Agencies in Marbella, Costa del Sol and other “Prime Locations” in Spain. Live on the Costa del Sol and Enjoy a Luxurious lifestyle in one of the most beautiful places of the World. Luxury Properties For Sale in Prime locations of the Costa del Sol: Mijas, Marbella, Benahavis, Estepona …. Marbella (Nueva Andalucia) Plots - Plots for sale in Marbella (Nueva Andalucia) Plot situated in a residential area within walking distance of restaurants and shops. The beach is in walking distance. Here in Marbella / Costa del Sol all of the top real estate agencies work in collaboration, using a combined internet based computer system. Great video! I am very interested in this as I am an artist myself. Designers and real estate agents are a large part of my customer base. Like you they see the value that fine art brings to our experience of spaces. Elegant and spacious classic-style family home situated in one of the best areas of the Golf Valley, in Nueva Andalucía. A brand new and well-priced villa in Nueva Andalucia, an exceptional family home within easy reach of everything that the area of the Golf Valley and the rest of Marbella has to offer. Other facilities provided by this stunning property are: underfloor heating throughout, solar panels providing hot water, very high-speed internet with fibre connection, multi-room audio with four pairs of Martin Logan in-ceiling speakers, only 5 minutes by car to Puerto Banús, and surrounded by a fine selection of golf courses. Combining contemporary architecture with a warm boutique style interior and touches of Andalucían charm, the villa offers a unique opportunity to acquire a luxury property in a truly prime location on the Costa del Sol. Situated in the peaceful residential area known as Lagomar, this villa is a superb opportunity to secure a family home at a very reasonable price. Renovated and finished to a very high quality, the property presents a magnificent facade which is detailed with stunning grey marble around it's windows and it's portals. With automated gates leading into the driveway, the visitor is welcomed by a generous parking space which includes a double garage. Steps lead up to the villa itself, where a delightful patio garden has been created with gazebo and seating area to make the most of the afternoon and evening sun. On entering the villa, the L-shaped layout of the home opens up to show the large open plan kitchen to the left and the comfortable sitting room area to the right. The exterior walls are fitted with floor-to-ceiling patio doors which give a wonderful view and access to the delightful swimming pool and al fresco dining area. Here privacy is ensured providing the perfect place for a family to live and enjoy the ultimate Costa del Sol lifestyle. Beautiful duplex penthouse located in one of the most sought-after and prestigious areas on the Golden Mile, within a short distance to the beach and only a few minutes' drive to Marbella centre and Puerto Banús. This large penthouse is in a fully gated complex which boasts beautiful gardens with pond, 2 outdoor pools, indoor heated pool and children's pool, fully equipped gym, 2 saunas, social club and 24-hour security. Spacious second floor west-facing apartment in an exclusive building in the centre of Marbella, within a fully gated complex with 24-hour security, mature tropical gardens and 2 communal swimming pools. The property has been constructed to the highest standards, offering extensive living accommodation, which includes: entrance hall; living/dining room with access to a large terrace overlooking the communal gardens and enjoying sea views; modern kitchen; lounge (could be further bedroom); utility room; 2 en-suite bedrooms; guest toilet. Upstairs: en-suite master bedroom with underfloor heating and private terrace. Parking space with private store room included in underground garage. A fabulous property for those who want to be close to all amenities! Upper level: en-suite master bedroom with a dressing area and large private terrace with amazing views. Parking space included in the underground garage. The complex offers a reception, beautiful communal gardens with pool and an indoor pool. A short walk to the beach, Puerto Banús and to all amenities. Spectacular duplex penthouse in San Pedro, with exceptional sea, mountain, Gibraltar and the African coast views. Located close to all amenities and the beach, as well as to the newly-built boulevard with children's playgrounds and a wide range of nice restaurants and cafés. West-facing beachside duplex penthouse overlooking the communal gardens of a renowned 5-star complex next to Puerto Banús. Enjoying the afternoon sun, this accommodation comprises: hall; bright, spacious living/dining room with access to a covered terrace; modern kitchen; two bedrooms sharing a bathroom; guest toilet. Renovated to high standards and distributed over two floors, this property comprises, on the entrance level: spacious, bright living room with fireplace; open-plan kitchen with island; en-suite bedroom with private terrace; guest cloakroom; large wrap-around terrace with sea views, fireplace and kitchen area. Upper level: en-suite master bedroom; two guest bedrooms sharing a bathroom. All bedrooms have access to another wrap-around terrace. The property is ideal for families with children and for those who enjoy living in the town centre, without needing a car. The development is approximately 200 metres to the Puerto Banús marina and its commercial area with all types of amenities. The property offers a comfortable layout and comprises: hall; fully fitted kitchen with separate laundry room; living room with access to the main terrace, offering lovely views over the gardens; en-suite master bedroom with private balcony; guest bedroom with access to a west-facing terrace; guest bathroom. The property also includes an underground private parking space. SpainForSale.Properties is an Exclusive Real Estate Agency offering Luxurious Properties For Sale and Rent on the Costa del Sol, such as: Luxury VILLAS FOR SALE IN NUEVA ANDALUCIA SpainForSale.Properties is considered one of the most trusted Exclusive Real Estate Agencies in Marbella, Costa del Sol and other “Prime Locations” in Spain. Live on the Costa del Sol and Enjoy a Luxurious lifestyle in one of the most beautiful places of the World. Luxury Properties For Sale in Prime locations of the Costa del Sol: Mijas, Marbella, Benahavis, Estepona ….